New Horizons is closing in on Pluto, and that means we’re finally getting some detailed images of the small world. With the appearance of new surface features comes a new batch of questions. The latest comes from a new color images of Pluto and Charon. The images were created by combining high resolution images from the Long-Range Reconnaissance Imager (LoRRI) with color data from RALPH. What’s clear is that there is a chain of features along the equator of Pluto. Whether these are features similar to the equatorial region of Iapetus or some type of cryovolcanic activity is still not clear. 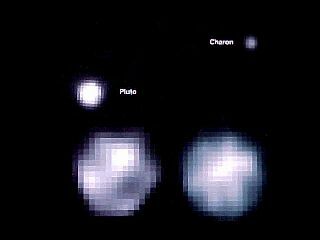 It’s also clear from the image that Pluto and Charon are quite different in both color and brightness. Given that the two bodies are thought to have formed from a collision with another body, it will be interesting to see how they can be so different. 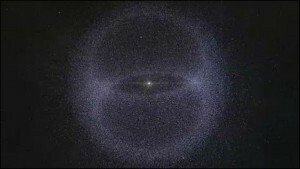 The best Hubble image of Pluto and Charon. 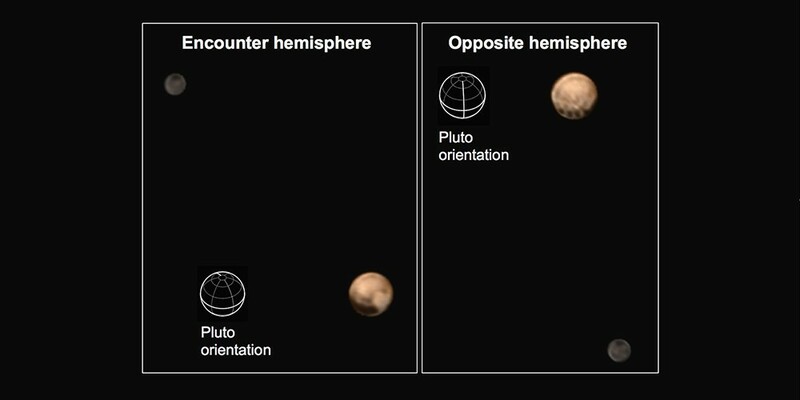 We’re still in the speculation stage, since the data is so new, but the exciting thing about these images is that Pluto is no longer a spot a few pixels wide. It’s a world with clear features and with mysteries to be revealed. We’re finally exploring everyone’s favorite little world, and that’s a huge scientific achievement. New Horizons will make its closest approach on July 14, so we can expect a flurry of images leading up to that time. Of course it will take months for the all the data to be transmitted back to Earth, so long after the flyby we’ll Pluto is going to be rising in the news. I love how Pluto is adding to the continuous unraveling of the amazing diversity of the Universe. I know it’s still very early, but I was struck how Charon is dark grey like our own Moon. Find this as fascinating as the intriguing coloration of Pluto. Great point Alan … I guess, this is by design!